Even the best ceiling fans appear simple. They circulate the air in your home cooling the room. But the choice is never quite so obvious. How many fan blades do I need? How do I know if this is even a good fan? Picking out the best ceiling fan is always a daunting task, but why would you even bother with one? Ceiling fans may not actually lower the temperature of a room, but they do create a draft making the room feel significantly cooler. During cooler times when your house is cold, all of the warm air rises to the top and by slowly running the fan in the opposite direction pushes the warm air down without a draft. For this option, though, you need the best ceiling fan with a reversible motor that can spin the fan’s blades in the opposite direction. While your fan is pulling up the air and creating the draft that cools your home, if you also have an air conditioning unit running, the fan helps the air conditioner cool the room, or your house, more efficiently than the air conditioner without an air stream. Additionally, ceiling fans aren’t in the way, unlike cooling tower fans, saving space and making sure your pets or children can’t knock them over. So, in no particular order, here are 10 of the best ceiling fans for your home to keep it cooler when it’s hot and warmer when it’s cold. If a fan is cheap, it probably isn’t worth what you paid. This unique looking fan has a remote switch and includes everything you need to mount it. No lamp is included with this model, but the price for a quality fan is well worth it. The Minka Aire remote is also thin and modern looking so it won’t look out of place on your table. Offering a modern look, this fan is easy to assemble, but a touch too noisy if you’re trying for a silent room to work or sleep in. The motor is reversible, but not directly from the remote. The fan unit has to be directly accessed, which may be a problem if the ceilings in your home are high. Overall, functional, fashionable and plenty of airflow with the Minka Aire ceiling fans. 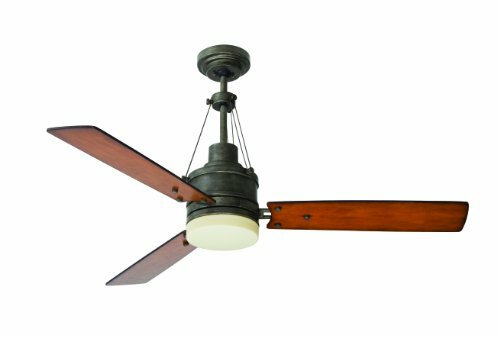 The Emerson Highpointe Ceiling Fan is a fan with three blades, a vintage steel finish and a built-in lamp that needs to be hardwired. Like most ceiling fans, the Highpointe model includes a ‘winter’ setting, which is really just reverse. Being called by a different name doesn’t make the setting any less useful. The integrated light fixture accepts two 50-watt halogen bulbs that Emerson states add a subtle glow to any room. 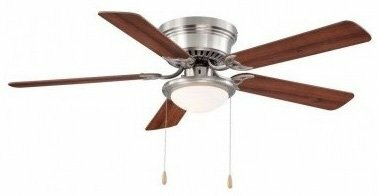 This fan has four speeds and doesn’t wobble on the highest setting, unlike some lower-end ceiling fans, especially ones that don’t require hard wiring. While the fan speed is adjustable, the lights are not. You can’t dim the lights from the remote, but you could install a varying power supply on a switch, but that can be dangerous as you’re supplying less power than the lights require. 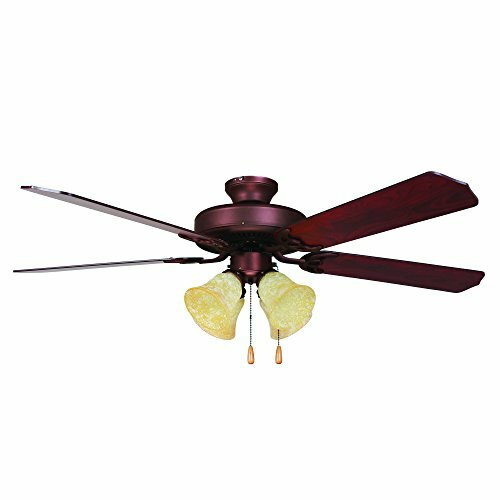 Gulf Coast Fans’ Tropical Bronze ceiling fan has beautiful palm-shaped leaves that give off a tropical feeling making the name an accurate one. Available in white, antique bronze and oil rubbed bronze, this fan looks good in any home. Some may consider it gaudy, but it is one of the most functional fans with a reversible motor and three speeds. Included is the standard down rod that makes the distance from the bottom of the fan to the ceiling 14 inches. This is incredibly low for low ceilings, but any high ceiling can accommodate the fan without a problem. No light fixture comes with this model, but the leaf pattern design of the five fan blades provide plenty to look at. Remotes are available as well, but not included and that is the biggest thing that detracts from this hard wire fan. You may have heard that cheap fans are often a bad decision when buying a ceiling fan, but the Hugger by Hampton Bay is one exception. The reversible blades provide both the updraft and the push downward you want for both warm and cold seasons. The best feature of this cheap fan is that it is low profile, meaning it’s perfect for lower ceilings. Even though this is a cheap fan, it doesn’t look it and the instructions are clear and easy to follow. The Hugger is not silent, but it isn’t too noisy. Two 60 watt bulbs provide plenty of light to any room making other lamps unnecessary in the room where this lamp is. Overall, the Hampton Bay Hugger lamp is one of the best options for a ceiling fan when you’re on a budget. 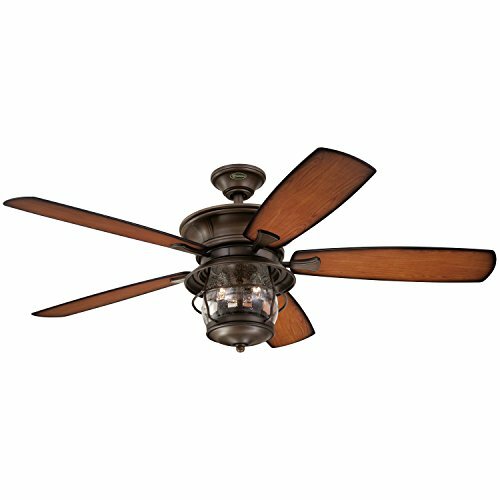 The Hunter Fan Company offers the 5-Blade Single Light Ceiling fan at a decent price. Even though it’s called a ‘Single Light’ ceiling fan, it really takes two 60-watt incandescent bulbs, both included and housed in a single dome. Many customers don’t like simple designs, but a ceiling fan doesn’t need to be ornate to be elegant, and this fan is definitely that. No noise can be heard when the fan is running, forwards or backward. No remote is included, but at least the light and fan chains are separate. 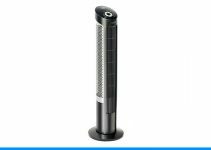 The fan does require being hard wired, but that isn’t much of a downside as almost every fan requires that and the easy installation easily makes up for it. Westinghouse’s Comet is a really nice – possibly best ceiling fan and light combo. Five blades tend to look better than three blade models, it’s simple and plain looking. Nothing fancy, nothing over the top. It’s unfortunate that it takes incandescent bulbs, but more energy efficient bulbs are out there that fit in the same socket as incandescent bulbs, so that is a non-issue. No remote comes bundled with the Comet, but third-party remotes are able to be installed. Although, if you do want a third-party remote, make sure you install the remote before hard wiring the fan as it can be difficult to install afterward. The fan is nearly silent while running on the high setting, which is a nice benefit that makes it barely noticeable other than the clear temperature drop in the heat when the fan is running. 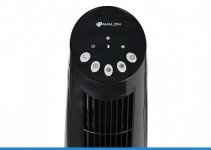 If the fan is only on low or medium, it’s completely silent. Most of the other fans that have light fixtures on this best ceiling fan list have a dome over the light bulbs. 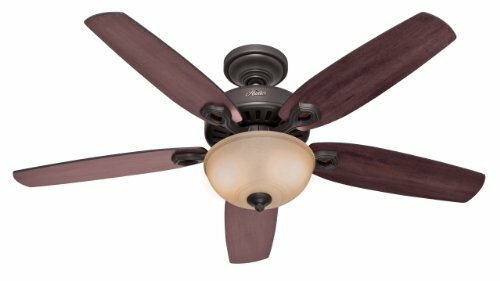 If you want lighting that is more like a flood light, the Westfield is your ceiling fan with a beautiful burnished bronze finish with elm and cherry blades. In pictures, the fan looks red, but in person, it’s the burnished bronze that Yosemite claims. Four sockets are compatible with incandescent, CFL and LED bulbs, none of which are included. Installation is so easy, almost anyone could do it. The down rod included is 10 inches long in case you have high ceilings and require the fan lower than flush against the ceiling. Of course, the three-speed motor also goes in reverse, which is a feature you should always make sure the fan you’re purchasing has. Simple fans aren’t the only elegant fans. Westinghouse has designed the Brentford with elegance in mind. Most ceiling fans are not able to be installed outside, such as on a porch. This fan can be installed outside as well as inside. The light bulbs point upwards, which means the light is adequate, but not as bright as it would be if they were aimed downward. Airflow is sufficient providing the draft you would want out of the best ceiling fan. The blades are also reversible with a light and a dark side allowing you to choose either look that you choose. Most fans have three or five blades. Litex’s Urbana has four giving it an extremely modern look with its chrome blades and frosted glass. Only one 60-watt light bulb in the lamp doesn’t provide a lot of light, but the clean style makes up for the lack of light. As with most fans, this best ceiling fan is also easy to install and has the standard reverse setting for the colder seasons when you want to push warm air down. Made of steel, the four steel blades are sharp and could hurt someone when spinning at high speeds, so make sure the fan is installed high enough that no one will get hurt. This best ceiling fan option is also small for larger rooms, such as a living room and instead meant for a room like a bedroom. In a similar style to the Litex Urbana, the Mercer by Home Decorators is the standard 52-inch fan size. Also like the Urbana, the Mercer only accepts one 60-watt light bulb, but that isn’t a big downside. 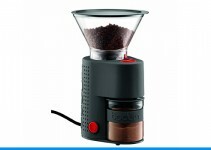 The biggest downside is that there is no reverse option even though it offers three speeds. During cool months, the fan can’t be reversed to push the warmer air near the ceiling down, only pull up the cool air creating a draft. This ceiling fan is not the easiest to install, but looks great and makes a small humming sound while the blades are spinning. 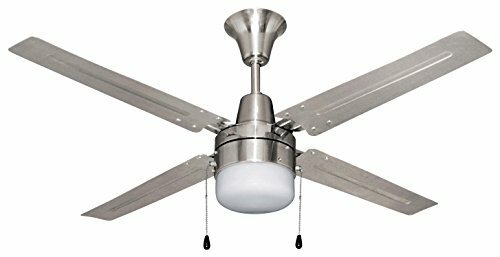 Included is also a four-and-a-half inch down rod for slightly higher ceilings and a remote control so no need to reach up to the fan to change the speed or turn it on. Well that’s our best ceiling fan reviews come to an end. There is a fine selection here. Fans with lamps, some with reversible motors, some with versatile fittings and a whole lot of designs. This is a great selection of the best ceiling fans and we are sure there is something here for everyone.